ZTE's return to the US may be short-lived after several politicians urged President Trump to re-instate the ban on the Chinese manufacturer. In a letter to the President, Senator Mark Warner, the Democratic vice chairman of the Intelligence Committee, and Marco Rubio, a Republican member of the committee, claimed that ZTE should be banned as it still posed a "significant threat" to US national security. “ZTE, though publicly traded, is a state-backed enterprise that is ultimately loyal not to its shareholders, but to the Chinese Communist Party and Chinese government,“ the letter stated, according to Reuters. 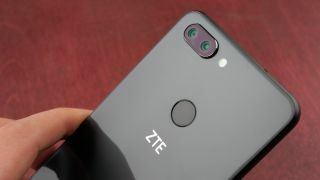 ZTE has been under scrutiny in the US for some time after the Trump administration publicly accused both it and fellow Chinese firm Huawei of illegal surveillance on US interests. The company was hit with a ban from operating in the US earlier this year after it breached an agreement reached for illegally shipping products to North Korea and Iran. This led ZTE to suspend all activity, however the company returned to operations earlier this month after striking a deal that saw it pay a $1 billion fine, change its board and management, and put $400 million in escrow.